This research has attempted to find out which information will influence people to try new healthy foods and whether the type of unfamiliarity of food or the variety-seeking behaviour in consumers plays a role. Consumers seek variety in their menu and also seek new dishes to avoid boredom. But when the marketers introduce new healthy foods, most of them fail. Especially in a country like India, where the onset of non-communicable diseases like diabetes which are related to unhealthy food choices is high, the onus is on food marketers and the government to encourage people to make healthy food choices without compromising their taste buds. A pseudo-experiment was conducted with 385 subjects with 12 different versions of the survey where the type of unfamiliarity of food and the information presented about the taste expectation and health benefits were manipulated. Three types of unfamiliar dishes were used—one in which ingredient was new, the other in which known ingredients were cooked in a new format and the third one where both the ingredients and format were new to the respondents. Willingness towards trying the food and the variety-seeking trait were measured. Results show that the variety-seeking behaviour of the subjects has an impact on their willingness to try a new food. Also, the type of unfamiliarity of the food influences the willingness and has an interaction effect with the information. The results also indicate that the people are more hesitant to try a new ingredient than they are with a new format. Also, the study reiterates the findings of the earlier researchers that people do not tend to believe that the healthy foods can be tastier. 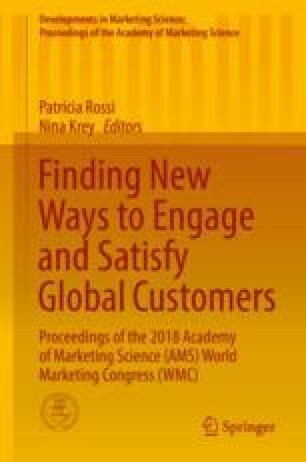 The authors discuss the implications of these findings and also recommend some solutions for the food marketers. This study would help the restaurant marketers to provide the right kind of information in influencing the people to choose a healthy food when it is new to them and for those who seek variety in their food choice.